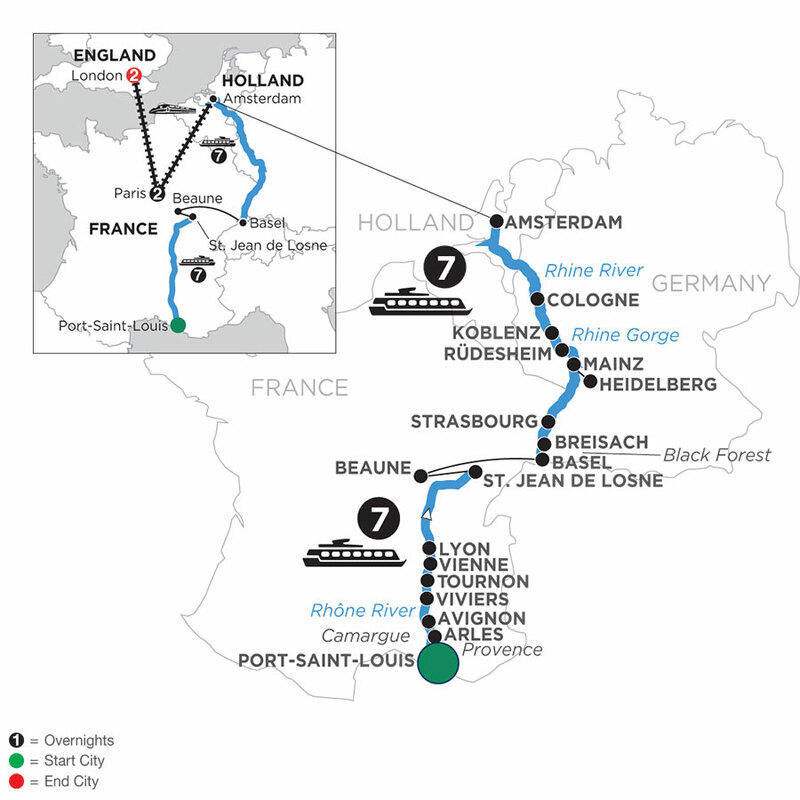 Your Avalon river cruise on the Rhine and Rhône rivers begins in Port-Saint-Louis. Here, board your Avalon Suite Ship®. You’ll enjoy a guided walking tour of Arles-the city in Provence which inspired works by Vincent van Gogh. Cruise to the picturesque Avignon for a sightseeing in the fortress city, sail to the charming village of Viviers to see the Romanesque cathedral and historic Old Town. The Saône and Rhône Rivers meet in wonderful Lyon. Explore this city, joining a guided sightseeing tour. Join a transfer to Basel to start your Rhine River cruise. 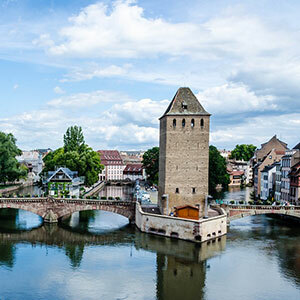 Enjoy a Black Forest excursion, before sailing to Strasbourg, France, and follow the Rhine on to Mainz and Rüdesheim to sail through the stunning views of the Rhine Gorge on your way to Koblenz. Cruise to the Rhineland’s capital city of Cologne and choose between a guided city walk of Cologne, and see its magnificent gothic cathedral, or a walking tour of the city’s notable Jewish heritage sites.